Amy Poehler to Direct Moxie Riot Grrrl Netflix FilmJennifer Mathieu’s 2017 novel is getting the big-screen Poehler treatment. Russian Doll Is a Brilliant, Surreal Show About Women in PowerWhich is why it’s such a bummer that Louis C.K.’s former manager is producing it. Seth Meyers Explains How to Know If Amy Poehler Likes Your JokeYou’ll hear it. Amy Poehler Is Producing a New Riki Lindhome ShowThey’re also teaming up with a former Community writer. Amy Poehler Swoops in to Help Unpack James Comey’s TweetThe former Weekend Update duo asked the question that was on everyone’s minds. Amy Poehler Has No Time for ThisDon’t you read the news? Beyoncé Is the Key to Unlocking a Parks and Recreation RevivalJust think of Pawnee. 8 Actresses Will Be Bringing Activists As Their Dates to the Golden GlobesIncluding Laura Dern and Emma Stone. Leslye Headland, Natasha Lyonne, and Amy Poehler Are Making a Netflix ComedyThe eight-episode series is set during a “seemingly inescapable party” in New York. 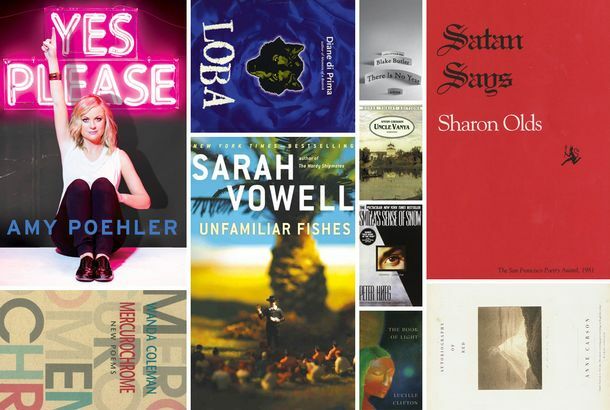 Amber Tamblyn’s 10 Favorite BooksIncluding Amy Poehler and Wanda Coleman. See the Wet Hot American Summer Cast Then, Then, and 10 Years LaterThe times change, but the faces are (mostly) the same. Movie Review: The House Doesn’t Win This TimeWill Ferrell and Amy Poehler star in an unfocused comedy that’s always about two steps from being actually amusing. Amy Poehler and Seth Meyers Say ‘Really? !’ to the Julius Caesar ProtestersWeekend Update’s winning duo returns for another unbelievable news story. Amy Poehler, Anthony Atanamuik to Perform at 19th Annual Del Close MarathonThree days, 650 shows, ten stages. Amy Poehler, Nick Offerman Are Hosting a Crafts Competition Show of Your DreamsKnope and Swanson, back at it again. Alec Baldwin, Tina Fey, Tom Hanks, & More Hosting ACLU Telethon on Facebook LiveAmy Poehler, Jon Hamm, Tracy Morgan, and other charming, funny celebs are also participating. 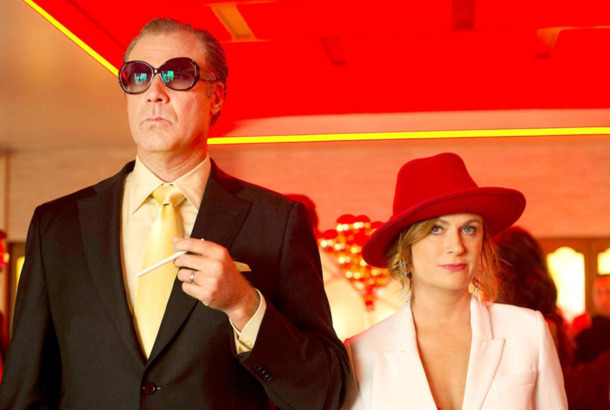 Watch Will Ferrell and Amy Poehler Run a Basement Casino in The House TrailerTo send their daughter to college, Ferrell and Poehler run an underground casino. Amy Poehler Is Making a Dark Musical Starring Bob’s Burgers’ John RobertsBob’s Burgers’ H. Jon Benjamin will co-write with Roberts. ABC Gives Pilot Order to Carol Burnett’s Comeback Comedy From Amy PoehlerIt’s Burnett’s sitcom-starring debut. Amy Poehler Has Some Solid Advice for All of YouAt this year’s Vulture Festival.